This old saying holds true when it comes to store displays. Attractive wood buckets are an ideal way to showcase products and help them move. 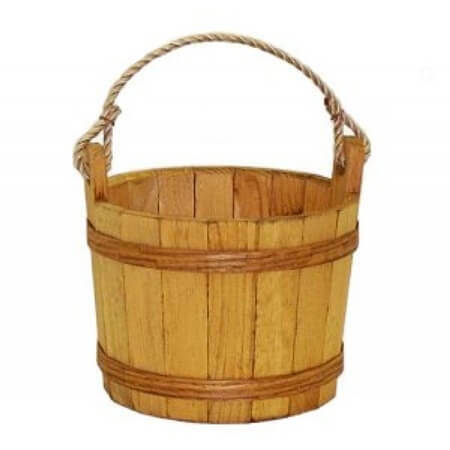 Rustic, yet charming, these wooden stained buckets in an oak finish will make your merchandise shine. Sit on a counter or hang from the wall, either way, these wooden buckets will beckon one and all.